"Closing eyes to aggression will not make it disappear." 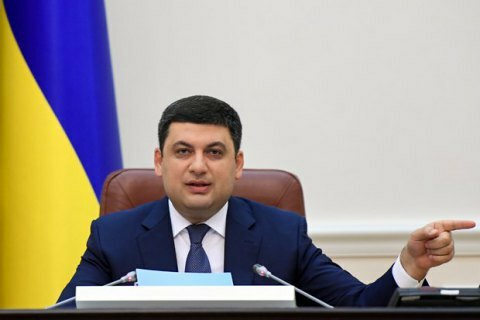 Prime Minister Volodymyr Groysman believes that increasing the defence capacity of Ukraine, which opposes Russia's hybrid aggression, is in the interest of the entire democratic world. "I am deeply convinced that increasing the defense capacity of our state is in the interests of the entire democratic world. It's a challenge that touches everyone, regardless of the country. This is a matter of values," Groysman He told a conference on reform in Ukraine. "If we close our eyes to [Russia's] aggression, it will not disappear anywhere, moreover, it will spread," he added. Groysman heads the Ukrainian delegation during a visit to the UK. In London, the Ukrainian prime minister will hold a series of meetings, including with Nathaniel Jacob Rothschild, a banker and politician. In April, Groysman suggested to increase the defense budget of Ukraine by half.